Nepal’s higher education system is failing. The weak system is unable to cope with the rising tide of aspiring youth seeking higher learning and has been increasingly unable to meet the needs of its key stakeholders: the faculties, students and employers. Inadequate funds and traditional governance structures have weakened the quality, relevance and innovation in teaching. Lack of financial options leaves a large share of potential students out of the system. When students graduate a recurring complaint from employers is that they lack the required technical and soft skills to carry out their jobs effectively. Research and new knowledge generation is virtually non-existent. The current system will fail to prepare graduates with core language, mathematics, and technological skills and competencies needed to engage with and compete with their regional and global counterparts. So what should Nepal do? Nepal needs to invest heavily in its human capital now or it will not meet the benchmark of becoming a middle-income country by 2030. Countries that fail to invest consistently in education often experience constrained economic growth. This is because investments in infrastructure, such as roads, airports, and dams as well as developments in economic sectors such as banking or tourism often lag and yield low returns in the absence of an adequately educated and socially responsible workforce. East Asian economies have reaped benefits with their early emphasis on accessible and high-quality education for their citizens. 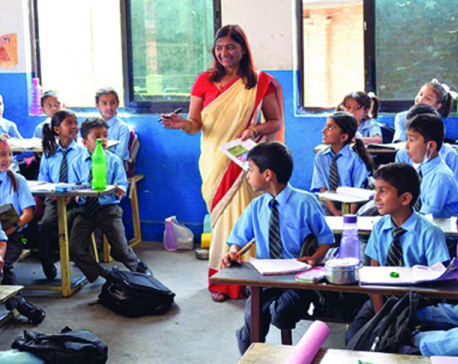 Nepal stands to similarly derive great benefits by investing in education. The focus in the past several decades, appropriately, has been in improving access and equity of quality and relevant education at the school level. This emphasis started to show some positive results. Recently released World Bank’s Human Capital Index (HCI) shows that Nepal outperforms India and Bangladesh. Celebrating this accomplishment, however, might be premature as there is still a large task ahead to continue expanding access to and equity of quality basic education. Furthermore, there is a larger upcoming challenge of expanding skills training and higher education. Apart from anecdotal evidence, there are rankings that reflect severe human resource constraints in the country. For example, Nepal is ranked 109th (out of 140) countries in the World Economic Forum’s Global Competitive Index (GCI), behind Bangladesh (103rd) and India (58th). Similarly, Nepal is ranked 110th (out of 190 countries) in the World Bank’s Doing Business Report, lower than Bhutan, India and Sri Lanka. While doing business does not directly measure human resources, skills and capabilities, many of its key indicators are directly dependent on qualified and efficient human resources based on IT, financial, and communication skills. 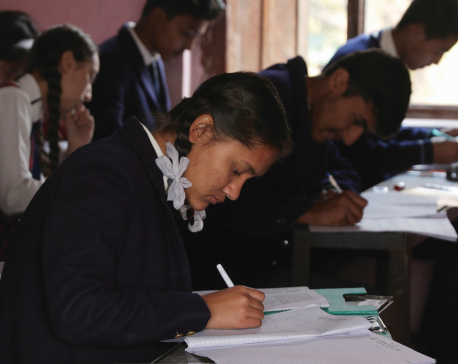 Overall, Nepal’s higher education enrollment rate is low: less than 15 percent (2015/16), significantly lower than India’s (over 27 percent) and lower than the global average. Nepal also lags significantly behind the workforce proportions of middle-income countries or global averages. For example, while over 70 percent of Nepal’s workforce is engaged in agriculture, the global average is about 26 percent. Currently there is inadequate and weak alignment of graduate numbers and the increasing demands of the priority economic sectors. While this type of sectoral shift is required and inevitable, Nepal will also require a shift in its skill composition among its working population, which is expected to demand a greater share of cognitive/ higher-skills. It has been estimated that the share of high-skilled populations will need to increase substantially to over 15 percent (Nepal’s current estimate is less than five percent). Another symptom of the failing higher education system is its abandonment by an increasing number of qualified students who are seeking education opportunities outside the country. In 2017 alone, over 79,000 students sought ‘no objections’ to study abroad, including in the US, UK and Australia. Rough calculations suggest that would amount to a flight of at least US$500 million out of the country for that year alone. The out-migration of youth should cause major alarm (I would add panic alarm) for decision makers to swiftly and comprehensively study and develop effective policies to address this multifaceted challenge. Strong higher education systems drive new innovations through research and development. Support for and investment in research and development is very low in Nepal—less than half percent of its GDP. Scientific Journal Rankings places Nepal at 92nd rank (2017) in producing cited publications, below Bangladesh, Sri Lanka, Tanzania, Uganda, and far below India. Numerous experts have identified challenges and are recommending solutions. Among the long list of solutions , are an adequately endowed system that addresses issues of equitable access, quality and relevance, research and innovation with closer ties with the employers, and sustainable financing and governance, including a strong set of appropriate incentives and accountability. There is also the need for the system to build a strong research and innovation ecosystem with possible world class centers of excellence and utilize and leverage the massive developments in technology to modernize the entire higher education system. The new strategy should use a pragmatic conceptual framework to help build credibility of the system, and set the ground for longer term reforms. It’s also important to ensure a smooth transition of the sector in line with federal structure. How can all this be done? It’s important to learn from global experience. Here are three important ‘systematic’ pointers that are important to consider in crafting effective higher education strategies. Let’s call them the three dimensions (breadth, the depth, and height) of successful higher education strategies. First, higher education strategies that perform well over time are those that are aligned well with and designed to address national development priorities. In this regard, sound higher education strategies need to respond to a broad range of demand in the overall economic landscape and the requirements for the key sectors such as tourism, agri-business, financial sectors and others. When strategies are crafted by Ministry of Education alone with little engagement from other relevant ministries and the stakeholders such as private sector employers, they tend to remain highly traditional and supply-driven. Currently no detailed assessment of such human resource demands has been carried out in Nepal. 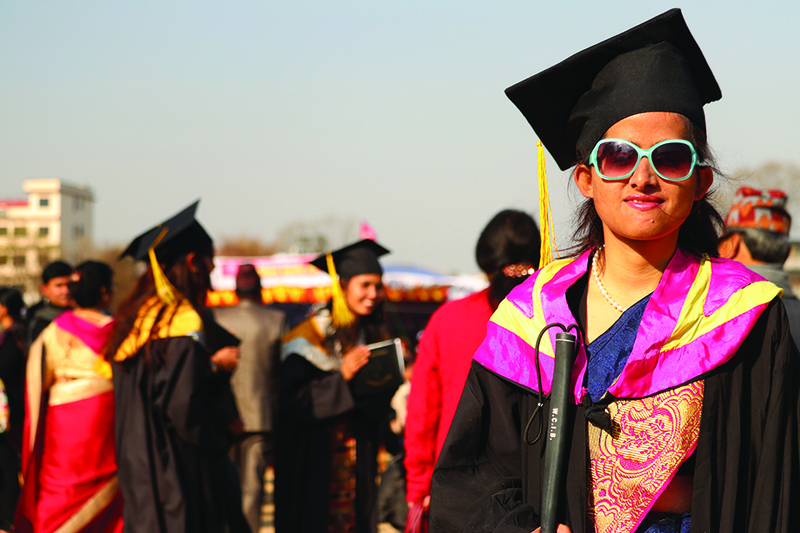 Nepal’s higher education strategy should be aligned well with the upcoming needs of the economy and in developing a strong and wide network of human resources for evolving sectors. It also needs to offer concrete steps to stem the flow of students out of the country. Second, the strategy will need to carefully review the deeper political economy of reforms, exposing the current entrenched interest groups who maintain the status quo. In Nepal, there are hidden interests, positions, and assumptions regarding the roles of political parties in assigning high positions to public higher education institutions, ‘student unions’ and their political affiliations. This needs to be systematically and objectively exposed. This is because these interests feed off the current system and will resist structural reforms. Third, the strategies that have a well prioritized set of policies and programs with details on implementation (with accompanying detailed plans) perform better. Traditional strategy building hold ad hoc ‘participatory processes’ with a limited number of individuals and interest groups, and produce a long list of policies and priorities that support historically funded mandates, leaving little room for prioritization and innovation. A strong strategy, on the other hand, outlines not only clear and achievable objectives, but also prioritizes policies and programs that will help swiftly achieve the objectives, and includes detailed road-maps/ plans to implement each of the prioritized policies and programs including roles and responsibilities, decision making processes, timeline, and budget. Rarely are the three dimensions noted above adequately reviewed and systematically addressed in traditionally developed strategies. There are innovative and effective strategy development tools and methods available for that. Systematic use of 'design thinking' concepts, use of co-creating methods that crowd-source ideas/solutions, and intensive 'Lab' processes are examples that are being successfully tried in many countries. The guided process helps to define clear objectives, prioritization and identification of a short list of implementable policies and programs. It involves a process of discussing difficult topics systematically with all the key entrenched interest groups, helping to jointly develop solutions all can agree to. The “Lab” process has been tried successfully in countries like Malaysia, South Africa, Tanzania, UK and USA. Methods used in this process continue to evolve and efficiencies are being identified, but the key aspects of the process include assessing the breadth of stakeholders, identifying the deep-seated interests and incentives, and developing fool-proof implementable plans. In countries that it has been tried, the process has helped to engage a large group of stakeholders and build a ‘national level consensus and agenda’ that aligns well with the national development goals. Government and development partners could consider such processes either while preparing or soon after preparing a new higher education strategy in order to give it the arms and legs to move swiftly toward its set objectives.